For the Windows tuning, would it make sense to have a convenient way to set/configure the TDRDelay registry key? For some reason, I seem to need this to prevent issues (rendering, simulation) even though I get the impression it ought to be less relevant these days. AHHHHH that is a great idea!!! Thanks, will add that to Control Station! Would be cool if the developer added a Shared Memory feature with sensor values! You guys should start toying around with codes together and get rich! Oh, and if you can find a way to make the headphone jack work without the keyboard driver, that would be awesome. Just so i can link in my signature i am creating this post to add general information about fan Control Control. I will update it when needed! 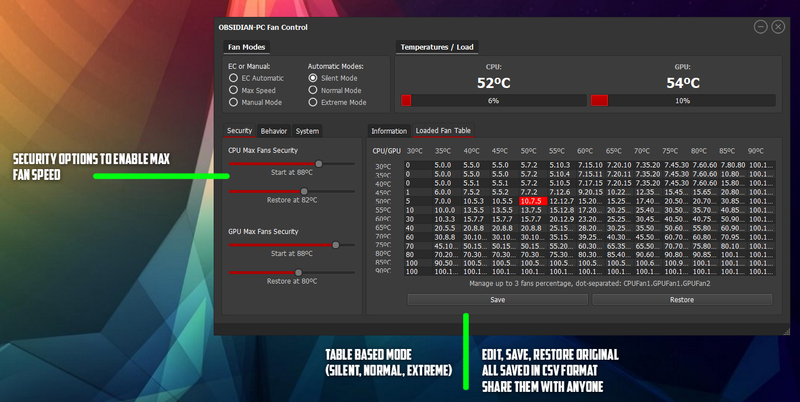 Fan Control is a software, that is now in Stable Beta version, that allows you to control the fans of your CLEVO laptop. CPU temperature and load is using EC Reading (internal Engine) or Open Hardware Monitor or Core Temp. Theme it to match your brand! Arondel, Vasudev, Redpenix and 8 others like this. is there a current work around for this? Just let you know that old version still does not spin fans even it reaches fans security limit. Seems like now v1.1.01 will disable fans security automatically after switching to EC Automatic. Technically I think this issue will not happen anymore but I hope you aware of it for future iteration of Fan Control. 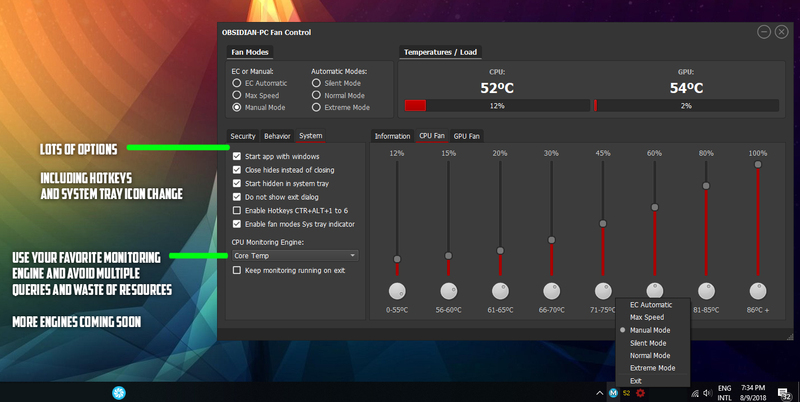 Make sure Fan Control will not burn the laptop. lol. Btw will Clevo laptop cut the power to protect the laptop if reaching crazy temperature? It first throttles down performance and then turns the unit off. I see. Actually what is temperature limit set by Clevo? 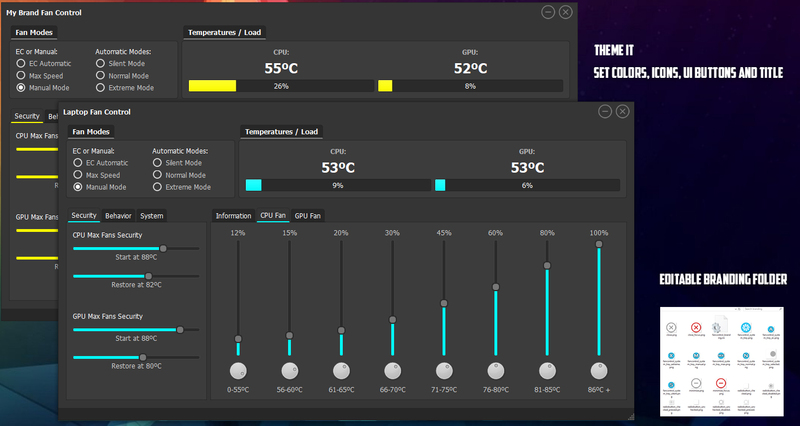 Seems like 90+°C the laptop still running. lol. Colors <3 The Theme-Feature isn't in yet or?